It’s official. On February 2nd, Armadillo Bob predicted that spring is right around the corner! This means we’ll have plenty of time to enjoy happy hours out on the patio before the scorching summer arrives. But you don’t have to break the bank to enjoy drinks and appetizers after work. Here is a list of 6 half price happy hours in Austin. Does Spinach Gorgonzola Ravioli sound good to you? How about smoked beef rib quesadillas or BLT sliders? What if I told you these are all half price during happy hour at both Jack Allen’s Kitchen locations? You’ll also enjoy daily drink specials. Jack Allen’s Kitchen is located at 7720 Highway 71 West and 2500 Hoppe Trail (Round Rock). Happy Hour: Monday-Friday from 3-7 PM and Saturday-Sunday from 3-5 PM. Parkside is one of the best restaurants in town and their happy hour offers a great deal given the quality of their food. It features half priced beer, cocktails and bar menu. Order the french fries. 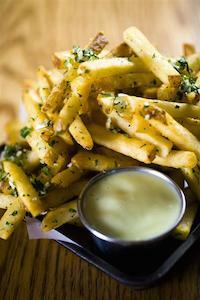 They’re crispy, garlicky and served with a delicious aioli. If you’re still hungry, go the extra mile with the cheeseburger…but be prepared to run an extra mile the following day! Parkside is located at 301 E 6th Street. Happy Hour: Monday-Friday from 5-6:30 PM. BONUS: half price Signature Martinis on Monday. Editor’s Note: We’re sad to announce that Freddie’s has been sold and will be closing on Sunday, June 21, 2015. Freddie’s Place has two things Austinites love: cheap happy hour prices and plenty of outdoor seating. Happy hour offers half price appetizers like quesadillas, chips and queso and chili cheese fries. Add “199¢” margaritas (if it’s been a long work day, that comes out to about $2), good weather and good company, and you’ve got yourself a pretty sweet evening. Freddie’s Place is located at 1703 S 1st St. Happy Hour: All day Monday, and Tuesday-Friday from 4-7 PM. Editor’s Note: Corazon closed early May 2015. Thanks for 30 years! Corazon at Castle Hill serves up superb interior Mexican cuisine. Corazon (Spanish for “heart”) has a happy hour that includes half price appetizers like tacos al pastor and beef picadillo empanadas. And did I mention the $4 margaritas? The happy hour menu is only available in their modestly sized bar area, so arrive early! Corazon at Castle Hill is located at 1101 W 5th St. Happy Hour: Monday-Friday from 4-6:30 PM. 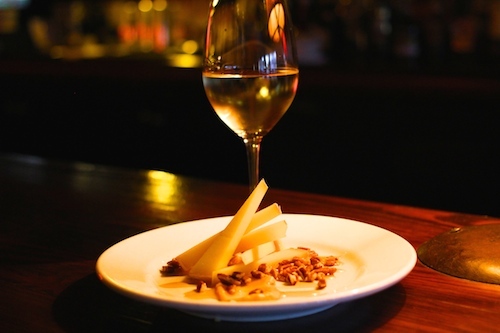 Wisconsin cheese plate with butternut squash puree, honey and toasted pecans…for half the price at Vino Vino! Vino Vino is located north of campus and is one of the few dedicated wine bars in town. Their happy hour consists of six half price appetizers, half price draft beer and $2 off glasses of wine and well drinks. Their wine list features wines from popular European regions. Vino Vino is located at 4119 Guadalupe. Happy Hour: Monday-Saturday from 5-7:30 PM. Baby Acapulco: Half Price, Baby! 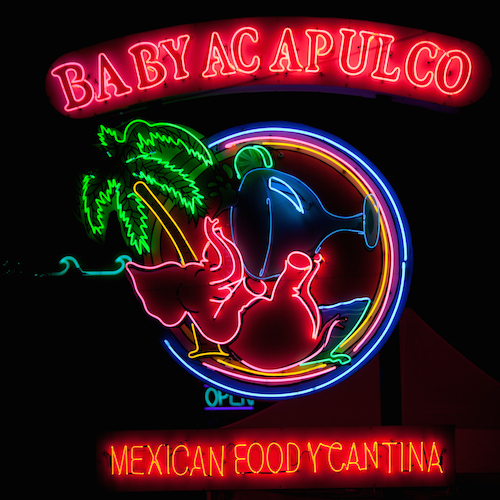 It’s hard to miss Baby Acapulco’s signs around town. Next time you see one, stop for happy hour. Baby A’s specials include a selection of half price appetizers (queso, nachos, quesadillas), $6 Mexican Martini’s and 22 oz craft beers for $4. 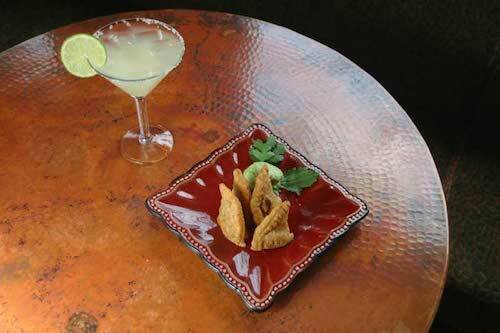 Make sure to ask your server for the half price happy hour appetizer list. Baby Acapulco has locations all over Austin. Happy Hour: Monday-Friday from 3-7 PM. From the middle of February until around Memorial Day, Austin has really great weather. So take advantage of the opportunity to be outside and head out to happy hour at one of these half price spots. Honorable Happy Hour Mentions: Olive and June and Tuesdays at Fonda San Miguel. 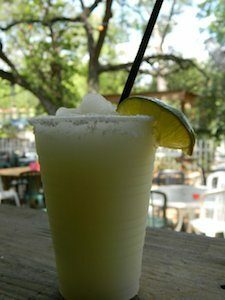 What’s your favorite half price happy hour in Austin?